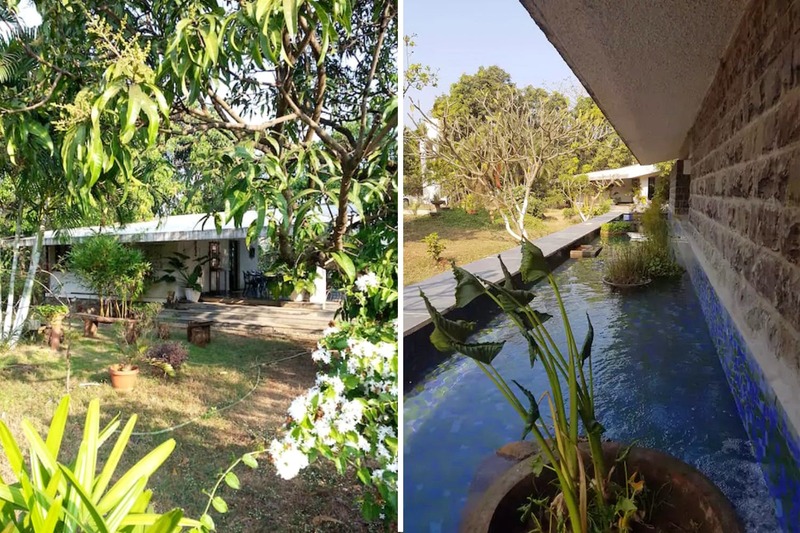 The perfect weekend getaway is nestled on a sprawling 3-acre organic farm, surrounded by a forest and overlooking rice paddies and a coconut grove. C House in Kashid is just a few minutes away from the beach and is a dream come true. The villa is divided into two blocks, with an outdoor shower area (perfect for when you get back from the beach), a lounge area with separate decks. Plan a nature walk or trek in the Phansad game reserve, just next to the property; enjoy some delectable organic rice and veggies cooked by their staff. The best bit is that they have no TV or WiFi, which is sure to make for a refreshing holiday. They also have a local masseur who makes house visits, so once you’ve booked the place, you can arrange for this too. We’d also recommend asking the staff to make some local delicacies, because, why ever not?